I am quitting work and bloggin' full time! No—I am just kidding. Blogging full time is something I do not want to do, but that is exactly what Jason Kottke, a Web designer, did a year ago. 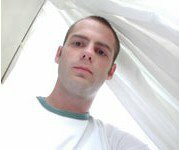 Last year about this time, Jason quit his job and turned to the readers of his blog, Kottke.org, for financial support (though micro payment) in his efforts to produce the site for a year. Over the course of three weeks, people generously sent in their financial support. The support has added up to $39,900 for 2005 and was almost completely (99.9%) achieved during the first 3 weeks. The biggest individual contribution he received was $500 dollars and most people contributed the suggested $30 dollars. A total of about 1,400 people contributed to the cause. After a full year of blogging Jason has had it. He announced on Wednesday that he is no longer seeking payments from people. He wrote that he hasn't managed to attract enough readers or developed "a sufficient cult of personality" to support the subscription model. Kottke, a blogging pioneer, started blogging nearly eight years ago and was awarded a lifetime achievement award at the Bloggies in 2003. It is sad to see someone like Jason throw in the towel and give up on his dream. He has contributed a lot to the blogging community. On Tuesday, Canon announced the new EOS 30D. This has been a long-awaited announcement. 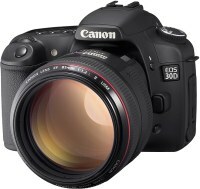 The Canon EOS 30D is an upgrade to the Canon EOS 20D with the same 8.19 mega pixel CMOS sensor and a larger 2.5 inch LCD (230k pixels). Other features worth mentioning are an ISO speed up to 1600 (in 1/3 stop increments) and spot metering. If you are interested in the camera, start saving your spare change – the price tag is a whopping $1,399 for the body only. The unit is expected to hit the store shelves in March. Looks like a great camera--but I think, for now, my old trusted Canon sd400 will have to do. 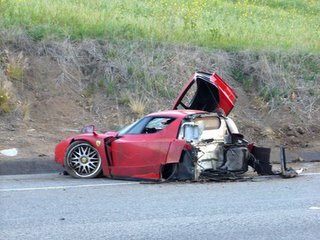 On Tuesday, Stefan Eriksson, the former senior executive of Gizmondo, wrapped his one million dollar Ferrari Enzo around a pole in Malibu. According to reports, he was speeding (at around 100 to 120 mph), as he was street-racing with a Mercedes Benz SLR. Eriksson lost control and his car split in two after it smashed into a light pole. The police found Eriksson standing by the car bleeding from his mouth. When questioned by the police, he clamed that a friend from Germany was driving the car. He did not remember the full name of his “friend” and told them that shortly after the accident, Dietrich (he could only remember the first name of his close German friend) fled the scene. The two airbags deployed--with bloodstains only on the driver-side bag. Surprisingly (or maybe not) Eriksson had a blood alcohol content level of 0.09, just over the legal limit of 0.08. If you were an insurance agent, would you insure Mr. Eriksson or Gizmondo (a company that just went bankrupt in Europe)? Tor’s Insurance & Clams Inc. would look for other clients with more money and less risk. Resumes – Does anyone check the accuracy? Yes—you better believe it! Last week, RadioShack’s president and CEO David Edmondson resigned after questions arose about the accuracy of his resume. 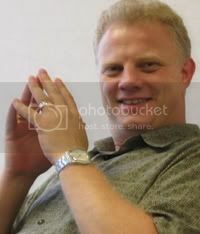 Edmondson become the CEO in May 2005 after being groomed for the spot for some time. Shortly after his ascension, an investigation into his credentials listed on his resume began. Last week Edmondson admitted that he had "clearly" misstated his academic record on his resume. This information also made it to the company’s web site. The Radio Shack board did not hesitate to accept Edmondson's resignation in hopes that the market would change its focus from the scandal to the company's turnaround plan. Edmondson stated on his resume that he had received a Bachelor of Science degree. Unfortuantely, he can't prove it. He says he believes that he received a ThG diploma, awarded for completing a three-year degree in theology. The interesting part of this story is that Edmondson has worked for RadioShack since 1994 and the issue did not surface until he accepted the position as the CEO. Up until recently, the company did not verify academic credentials. This policy has changed and today they do thorough checks now as a result of this incident. Don't feel sorry for Edmondson—he will receive a severance package estimated at a whopping $1.5M. Make sure that the details of your resume are correct--you may not get the 1.5 million from your employer to go away. Each year CNN Money ranks businesses whose inventiveness and quick reflexes are helping them set the pace for the economy. The list of the most nimble technology companies of 2005 included some expected player, like Ebay and Apple, plus others like OmniVision Technologies, whose inclusion was more of a surprise. Click here for a the complete list of the top 100. It is a sad reflection of the times we live in that the highest raked company on this list comes from the Military sector. What do you think? Microsoft will stuff FrontPage in the backseat as it is planning its next release of Office 2007 (Office 12). 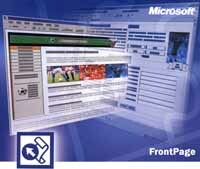 Microsoft acquired the power of the FrontPage toolset in the mid 1990s and has enjoyed great success with this product. Yesterday Microsoft announced the naming and packaging for the next release of the Office system products including Office SharePoint Server 2007 and Office SharePoint Designer 2007. Check out the press release materials for details (see link above). Microsoft announced the retail pricing and packaging of its new 2007 Office product (aka Office 12). For the volume price we need to contact our Microsoft representative, but this gives us a good indication of where the overall cost will end up. Office Professional Plus 2007, the update to Office Professional Enterprise Edition 2003, will be integrated with SharePoint Server 2007 and include Office Communicator, which are collaboration and information management tools. Office Enterprise 2007, will have the normal suspects included in the package like Excel, Outlook, PowerPoint, Word, Access, Publisher and Communicator. It will also include Office Groove 2007. Groove enables teams to collaborate remotely in real time. Along with this they also include Office OneNote 2007, which allows users to take notes, including handwritten notes and drawings, like they would on a physical notepad; and InfoPath, a tool for designing forms for content management. A big package of software indeed. Office Home and Student 2007 will be available for home users for $149 (this package includes Excel, PowerPoint, Word and OneNote). Office Professional lists for $499; Office Small Business lists for $449; Office Standard lists for $399; and Office Basic has no pre-determined price. Microsoft is also introducing new content management software, such as Forms Server 2007 and Project Portfolio Server. We can expect two new license bundles for desktop PCs that access Microsoft server software. The new Enterprise Client Access License (CAL) will include Windows Server, Exchange Server, Office Sharepoint Portal Server, and Systems Management Server, plus new capabilities such as enterprise data searching and spreadsheet publishing. Expect to see the new Office products on the shelves by the end of this year. During an interview at the Open Source Business Conference, Marten Mickos, MySQL Chief Executive, confirmed that his company had recently turned down an acquisition attempt by Oracle. He did not provide any details about the acquisition. For Oracle to try to acquire an open-source competitor gives us an idea of what impact the open-source has on the market. In 2005 Oracle did purchase two open-source companies, Sleepycat and InnoDB, and is expected to acquire application server maker JBoss (not so sure that is a good thing for us that are using JBoss). MySQL is among the leaders in the open source database market. The market is going through a great change and competitors are offering lower-end solutions (which, of course, erodes profit margins for companies like Oracle). 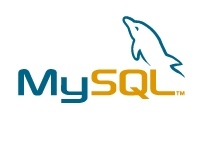 MySQL is a Swedish based company with an office in Cupertino, California. The company has experienced profits during the last two quarters and recently raised $18.5 million dollars in a third round funding from Institutional Venture Partners, Intel Capital, Red Hat, SAP Ventures and Sumitomo's Presidio STX investment subsidiary. Maybe Larry should offer Siebel Systems or PeopleSoft for MySQL. Do you think that would tickle the Swedes' funny bone? The company is trying to stay focused on building its direct sales to consumers and to professional markets. Rick Snyder, Gateway's former company president, will step in as the CEO until a replacement is found. This was a great surprise since the company is rebounding from a previous decline. "Under Wayne, our retail business has done well and will continue to do well, and we're proud of that fact. We also got the company back to a break-even point," Snyder said during an analyst conference call. "We're excited to continue to build the team and resources to take us to the next level with our professional and direct businesses." It will be interesting to see where Mr. Inouye will end up and to see how Gateway will change as fallout of this change becomes more apparent. The winter Olympics brings back great memories from my childhood. My whole family (heck--the whole nation of Norway!) took our lutefisk and lefse into the living room, donned our red and white stocking hats and bunad (look it up), and gathered around the TV and watched as many events as we possibly could. 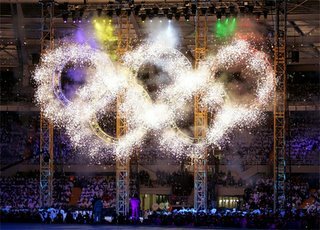 It was a time for all of us to watch our beloved nation's athletes take it to the rest of the world. Norway kicks some serious *ss in winter sports, eh? One of the things I find difficult here in the US is to enjoy an event from start to finish—to see the winners and the losers. CBS, NBC, ESPN all think we do not have the patience to watch a complete event. I want to see the Germans, Americans, Norwegians…and the Jamaicans. All the countries are fun to watch. Enjoy the winter Olympics--I know I will. Zillow.com introduced a beta version of its website on Wednesday. This terrific site allows you to enter an address and see the specs on the home, its valuation, the date and purchase price of the last sale, and data on comparable homes. This is the Kelley Blue Book for home shoppers. 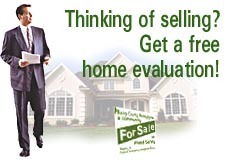 It is a free service supported by ad sales--offering valuations on more than 40 million homes across the United States. The site offers satellite, aerial, and parcel views of the homes with information provided by different sources including HomePriceRecords.com, HomePages.com, and Trulia.com. The site was created by a Seattle startup company with $32M in funding from Benchmark Capital, Technology Crossover Venture, and other private investors. I think this site provides a great view into public information to make it easy for home shoppers to get a quick and unofficial appraisal of their future homes and neighborhoods. Last week the long-awaited $5.58B merger closed as Larry gobbled up Siebel ystems. One of the first welcome messages delivered to the new staff was a plan to cut 2,000 jobs across the company. The jobs will hit the old Seibel hardest with focus on non-technical, back-office jobs. 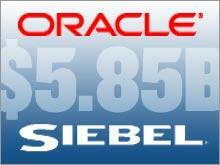 "We will retain...Siebel's product development and product sales and marketing teams," said Safara Catz, Oracle’s CFO. "We will retain 90 percent of Siebel's support, development engineers, sales and sales consultants," said Larry Ellison, Oracle’s CEO. The layoff was expected, but concerns about customer support for the CRM system is brewing in the market space. With the job cuts, Oracle will be left with a global work force of 55,000 employees. If you are looking for experienced CRM staff in San Mateo, CA, you will have plenty of good people to choose from. Super Bowl Sunday is the day of the greatest consumption of chips and beer during the year. This year was no different (congratulations to the Pittsburgh and all the Steelers fans, by the way). 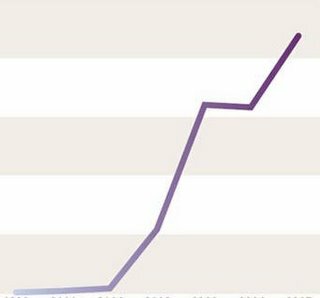 The question for all of us is–after all this consumption, are we ready for more chips and faster chips? Ready or not, here it comes: IBM unveils super-fast microprocessor; the new Power6 chip which will run at speeds of 4-to-5 gigahertz. Wow, I need some of that. In comparison to the current Intel Corp.'s Itanium 2 server processor that tops out at 1.66 gigahertz. The Pentium 4 for desktops currently reaches speeds of 3.8 gigahertz vs. the new IBM processor running at a blazing 4-to-5 gigahertz. IBM's upcoming Power6 is multicore and designed for higher-end servers running the Unix operating system. The chip is created from the ground up to run fast without major losses in power efficiency, said Bernard Meyerson, chief technologist of IBM's Systems and Technology Group. "In Power6, we basically combined everything we could (throw) at it in terms of fundamental atoms and molecules all the way out to what we knew would be the software that would run on top of that system," he said. IBM presented the new chip at the International Solid-State Circuits Conference in San Francisco this week. The details of the chip will not be available until next year. Let’s see how Intel reacts to this news in the next few months. 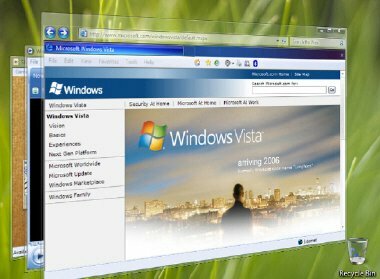 When will we have some Vista in our life? What do you think? Is this the next great invention or just another tool for Microsoft to generate revenue? I for one cannot wait for Microsoft Vista to allow us to produce the next generation of applications (and to generate some revenue for Ballmer and Gates).